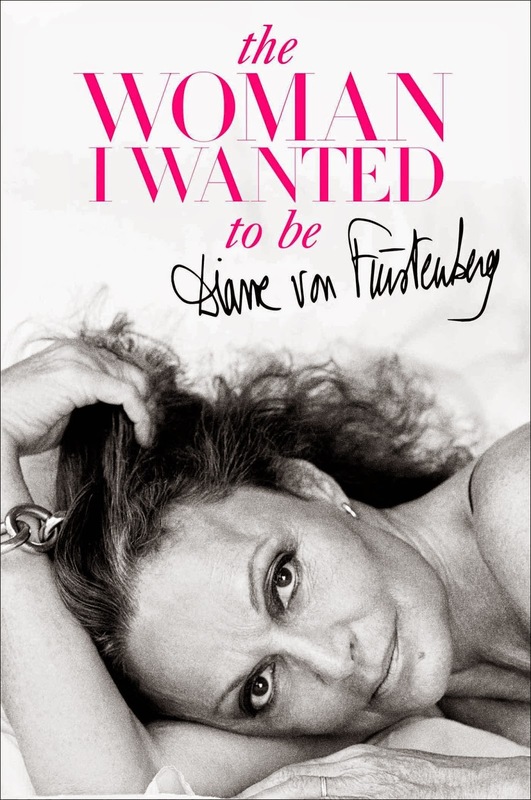 Everybody seems to know about the ice bucket challenge these days, but my favorite challenge is the one subtly implied by Diane von Furstenberg in the title of her new book to be released later this month, The Woman I Wanted to Be. I find that very simple set of words to be so provocative in a wonderfully motivating way. Every single time I hear her talk about a woman becoming who she wanted to be—I remember when she said it to Rachel Zoe during an early episode of The Rachel Zoe Project and you could actually see Rachel take a quick mental time-out to process it—I feel like it is a challenge to all of us: Are you the woman (or man) you set out to become? I love the dreamy aspect of that question, and the planning aspect of it too, and of course I love that it is not snarky or catty or mean. It’s uplifting, it’s inspiring. It’s a gentle reminder. It makes me ask of myself: Am I the woman I wanted to be? And who is that person, anyway? From Impact: 100 Years of the CFDA, 2012. What makes it all the better for me is that I think DVF lives this philosophy of empowering herself and other women, she’s not just saying these words. When I met her at The Museum at FIT in 2012 during the preview for the exhibit Impact: 100 Years of the CFDA, she could’ve accepted my greeting and compliments on her ability to make clothes ladies want to buy and wear and shook my hand and moved on, but she was so gracious and solicitous, asking me what I did for a living and telling me I was pretty! What a compliment coming from such a glamorous and genuine lady! DVF speaking at The Museum at FIT in 2012. I feel that I am a work in progress, constantly striving to become a better person. I don’t know that I will ever get there, and maybe getting there is not the point, but I find DVF’s particular brand of wisdom something that brings a little lift to my day, and reminds me to keep trying to be the woman I wanted to be! 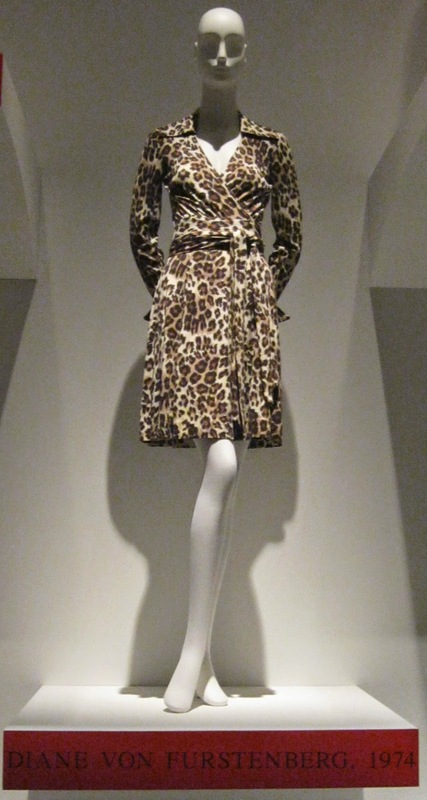 A Bergdorf window celebrating 40 years of the DVF wrap dress, June 2014. Tell me if you are the woman (or man) you set out to become. Let me know too if you are going to read DVF’s book! It will be released on October 28, 2014. I will definitely be buying this book. I cannot wait to get my hands on this book and watch the TV series she has beginning soon. This message really resonates with me. I have been working on a reinvention for eleven years (okay I am a slow learner) but I feel like this is a key year to make big steps forward. I feel like I am becoming the woman I want to be more and more every day. And, Jill, we are all a work in progress!! Yes, I will definitely read her book, she is such an inspiration to women. Your question is so provocative and thought-provoking ... and even at this age, I feel like I am still a work in progress and maybe hope I always will be!! Love you. What a great post. Now I want to read this book and I'm so impressed that you met her! As for the woman I want to be ... still a work in progress, but totally on the right track! What a great post! Now I want to read this book. So cool that you meet her and she was so nice! I love the idea of the woman I wanted to be ... still a work in progress, but definitely on the right track! I remember when you had that fantastic encounter with DVF, Jill. She is the epitome of style, elegance --and yet she is so down to earth. To notice another woman and share a compliment with her (you!) only makes her more approachable and genuine. I'm looking forward to her TV Show and must read the book. I'm a big fan! Great post! I'm always trying!! DVF is such a badass!